We don't just make tables. 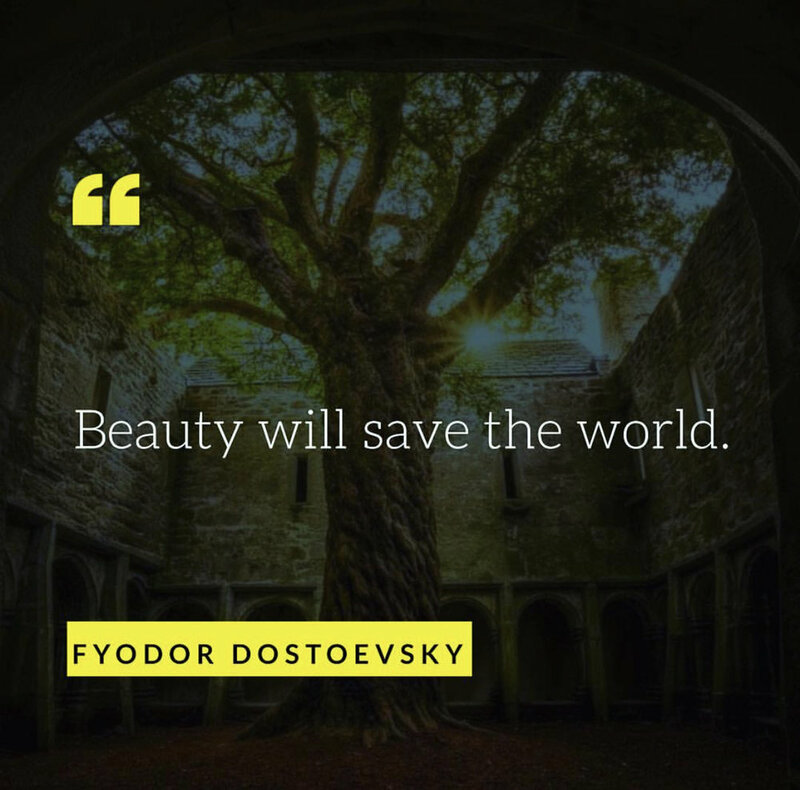 We truly believe in the transformative power of beauty. Jen Lambert responded to one of our posts on Instagram in November. She said we could share her words here. The modern world makes many demands on us. Between our smart devices and the constant appeals for our attention by everyday life, we can sometimes feel disjointed, torn and displaced. In response to this, there has seemingly been a renewal of interest in ways to ground ourselves. Connecting with nature via bare feet in the grass, taking a walk and inhaling the forest or simply taking a moment to breathe while looking out a window can make a powerful difference in well-being. It's one of the reasons we really like our work. We not only get to interact with wood, but we know that our efforts will allow you to enjoy the benefits of grounding. 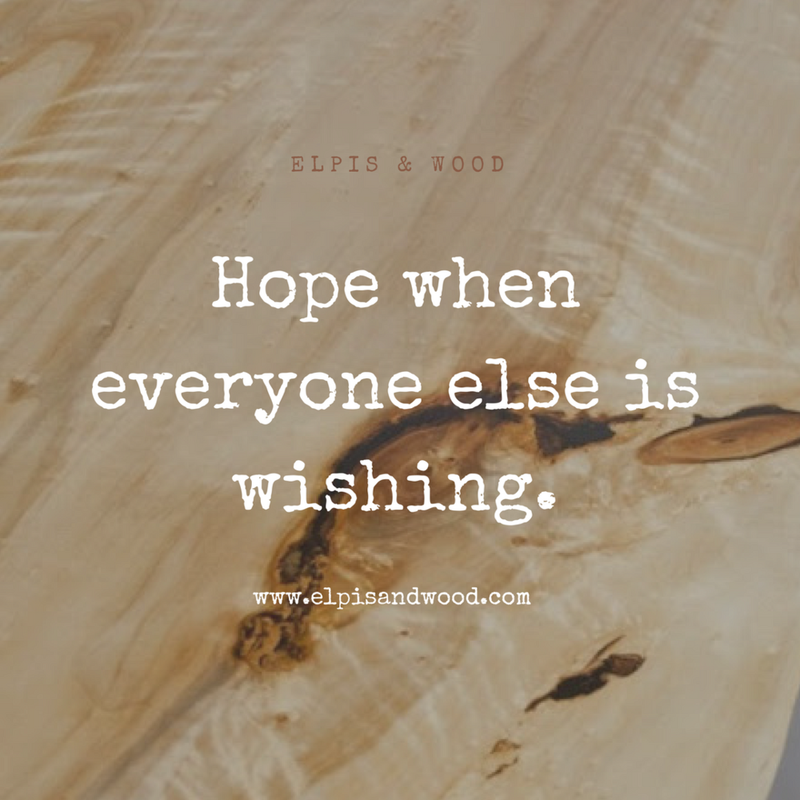 Its another way we find 'elpis' (hope) in wood. Trends for Fall include Rustic Elements. We are all about rustic elements! In this recent article on Seattle Refined's website, we noted the second top trend for fall was "Rustic Elements". It is easy to understand how this natural approach feels so relevant today. Just one piece can change the whole feel of a space. Everett Post's recent article on us really made us smile. 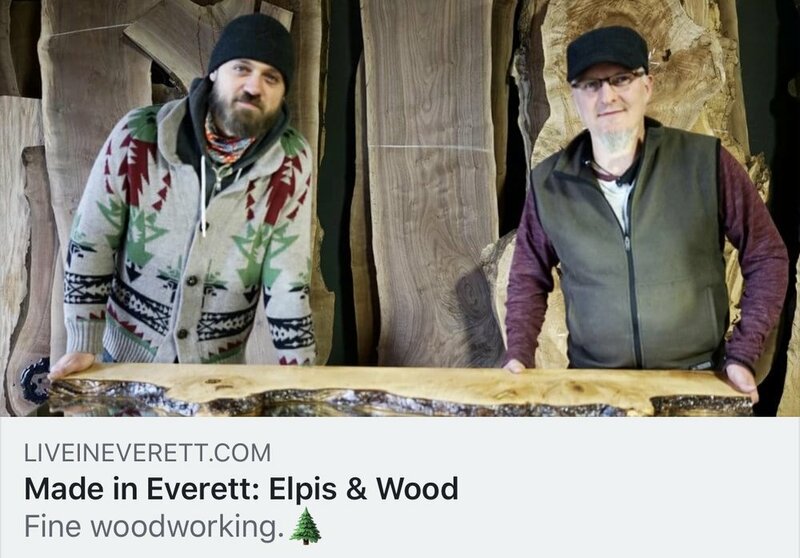 Check out this sweet article about our business that was just published by the Everett Post. We love our community and believe in the potential in Everett. We are honored and a little flattered. We appreciate your business, Glenn & Lisa. Lisa and I want to thank you for providing a unique coffee table for our home. It is truly the WOW factor within our living room. The character and depth of the piece is amazing. You turned a piece of nature into a work of art. The caring and passion of you and your team is clearly evident in the quality of the work. Thanks to you and Eddie and the rest of your team who helped craft this amazing addition to our home. Also, thanks for providing the piece on schedule as promised (a rarity in the custom furniture world). We look forward to working with you again on a future project. 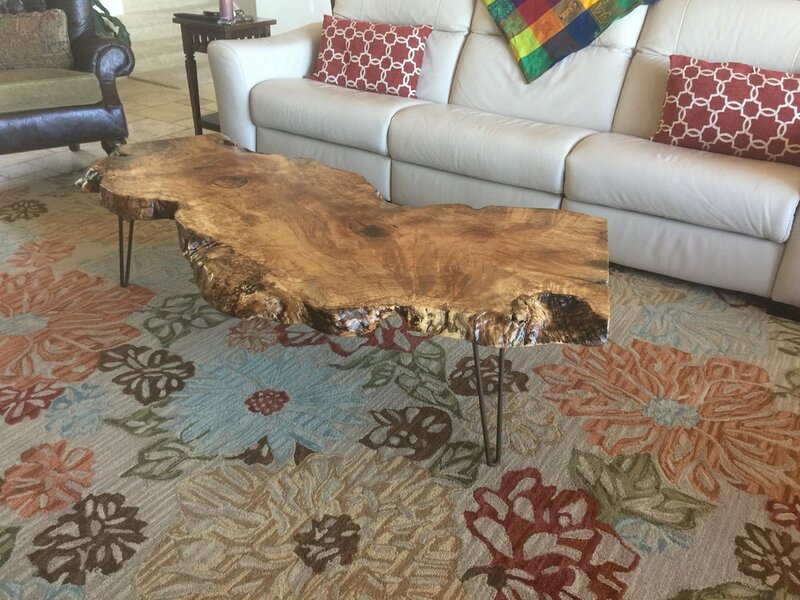 "I searched for months to find the perfect coffee table. I knew I wanted to find a special piece of wood, and I realized that my best option was a custom piece. I'm so happy I found elpis & wood! Blake was great to work with from the start. He was quick to reply to all of my emails, and sent me photos of pieces of wood to choose from that met my criteria. I think the hardest part of the experience was waiting for the piece to be finished once I had picked everything out! But it was well worth the wait (and was sent right on schedule)... what a gorgeous finished product! People are in awe when they come into my home and see it. Highly recommended!!!" 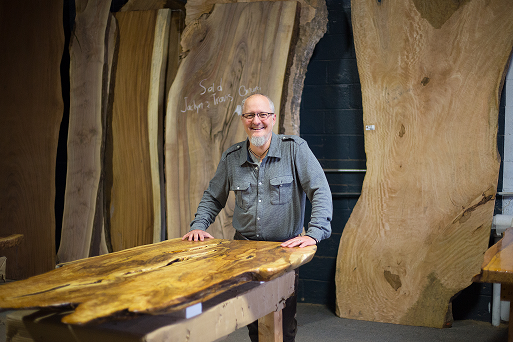 Recently we had the pleasure of creating a gorgeous custom sized Claro Black Walnut Dining Table for a local client. It's always great to get final photos from a client and see the piece fit so perfectly into the final space. Thanks Avery Family! We absolutely love our live edge custom work but recently we've been focusing on trying to provide some new available pieces. A couple stood out because they work into smaller to medium sized floor plans. Sometimes the standard size tables out there are just a tad too big. Here we've got some more unique compact options. 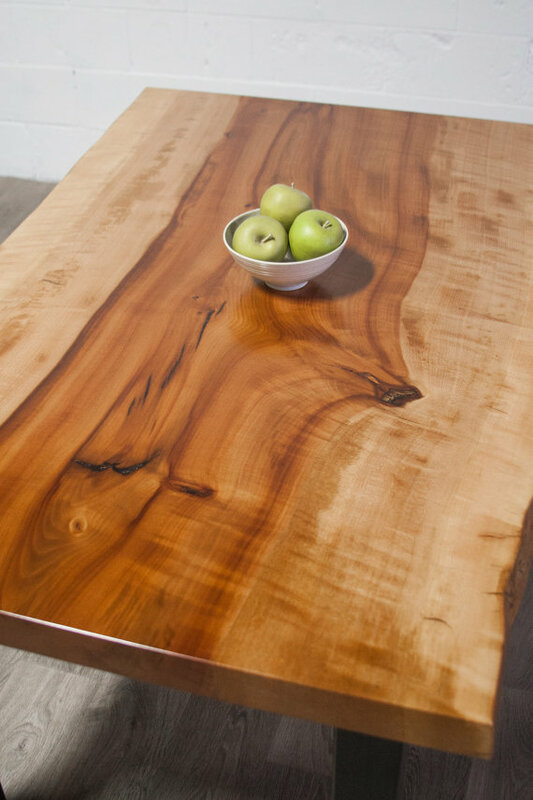 Pacific Madrone - Kitchen Table - 55"x35"
Black Walnut Dining Table - 76"x36"